C# ArrayList class is a collection class. 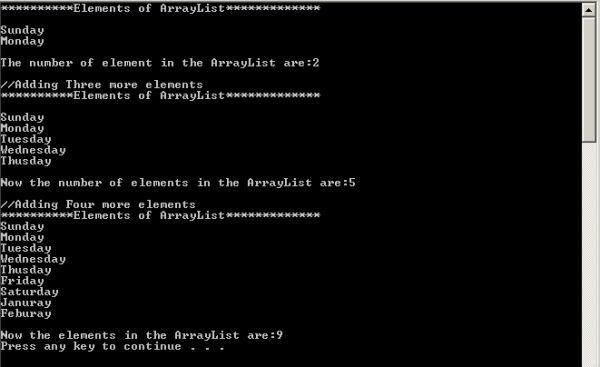 In this article, learn how to work with an ArrayList using C#. 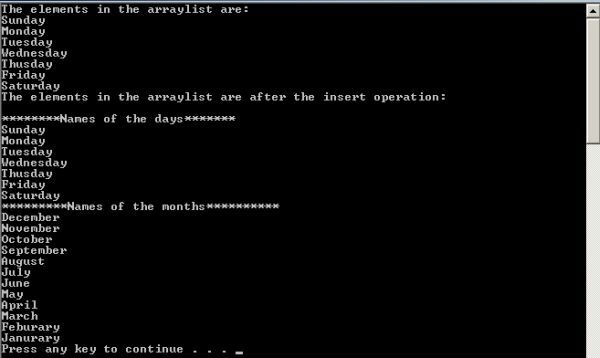 ArrayList implements the IList interface using an array whose size is dynamically increased as required. 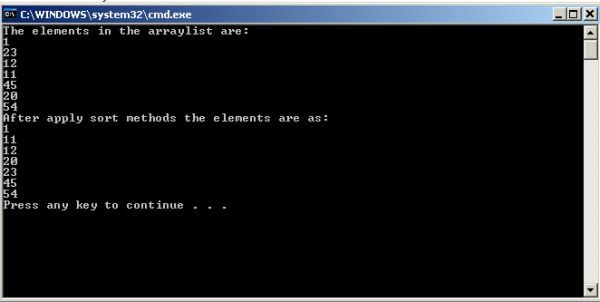 In this article I explain how to create the ArrayList and the various methods and properties of the ArrayList. The datatype of an ArrayList is object type, so we can add the elements having the datatype string, integer and any other. To add values, the Add() method is used. The following code describes how we add the elements to the ArratList. Gets or sets the number of elements that the ArrayList can contain. The default capacity of an ArrayList is 4. If I add 5 elements then its capacity becomes doubled (that is 8) relative to the previous one (that is, 4). Gets the number of elements actually contained in the ArrayList. 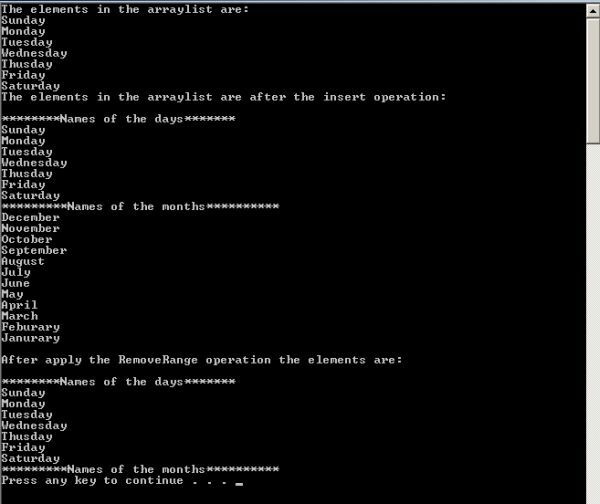 Removes all elements from the ArrayList. Determines whether an element is in the ArrayList. Inserts an element into the ArrayList at the specified index. Inserts the elements of a collection into the ArrayList at the specified index. Searches for the specified object and returns the zero-based index of the first occurrence within the entire ArrayList. 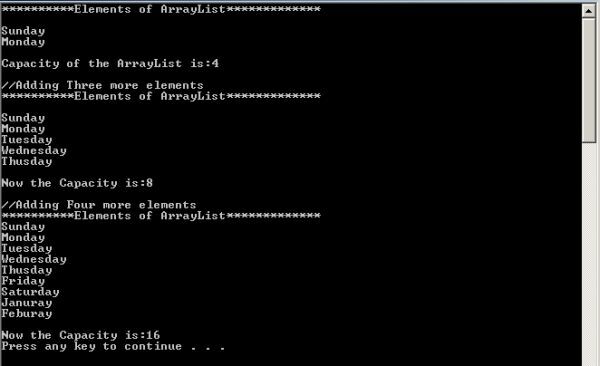 Removes the first occurrence of a specific object from the ArrayList. Removes the element at the specified index of the ArrayList. Removes a range of elements from the ArrayList. Reverses the order of the elements in the entire ArrayList. Sorts the elements in the entire ArrayList. Searches the entire sorted ArrayList for an element using the default comparer and returns the zero-based index of the element. In this article I explained the ArrayList and the various methods and properties of ArrayList.